Why using an FDA approved sclerosant for Spider Veins is important. Why using an FDA approved sclerosant for Spider Veins Treatment is so Important. 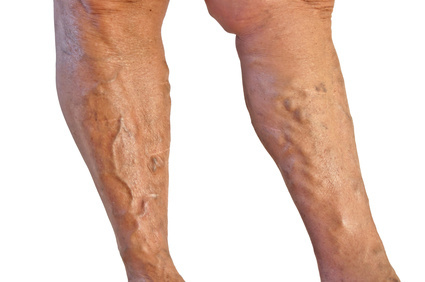 4 Reasons Why Men Should Get Varicose Vein Treatment. Why waiting to treat your Varicose Veins may have Negative side effects for later pregnancies. A Patient’s Perspective. Although it may be common to hear your doctor say that you should wait until you are completely finished having children before treating your varicose or spider veins, the truth is you may be getting the wrong advice. As we have seen in the last few articles, there are many common misconceptions or myths about varicose vein treatment, and why waiting to treat them may cause needless suffering or more serious side effects down the road. In this article we will hear from a patient about her experience with varicose veins through pregnancy. While many patients do not prohibit from sharing their names, unless otherwise requested these stories will remain anonymous. Our patient’s share their stories with you out of a desire to educate more people who may have potential issues with vein disease so that they may seek relief before the disease gets worse. Our next patient, as mentioned, is female, mid 30’s and has given birth to 3 children, and will be referred to as Karen. Karen, common to many women who have given birth, did not actually notice any signs or symptoms of varicose veins during her first pregnancy. However, during her second pregnancy she started to notice bulging veins and patches of spider veins. She recalls many restless nights tossing in her bed from Restless Legs and often needed to get out of bed to stretch or move about. Eventually, the pain and swelling became worse and Karen decided to talk to her doctor about her legs. The doctor informed Karen that the increased pressure in her pelvis is most likely the cause of her restless legs, but she may want see a vein specialist when she is finished having children as it would most likely happen again. Fortunately, Karen was referred to Illinois Vein Specialist by a friend who had the same experience. Karen followed her advice and sought a second opinion. Although Karen could not get her legs treated during the pregnancy she was asked to return after the birth. Additionally, Karen was recommended to wear compression stockings for the time being to help reduce some swelling and pain, but was informed that her symptoms would likely persist even after childbirth. Are Varicose Veins Just a Cosmetic Concern? Common Myths on Varicose Veins. Varicose Veins are Not Just a Cosmetic Problem. A common misconception among the medical community is seen regarding varicose veins and the attention that is paid beyond their cosmetic concerns. Many doctors will frequently tell their patients not to worry about their varicose veins, as they are merely 'cosmetic' in nature and pose no real medical concerns to your health. It's the common twist on an old adage..."If it doesn't hurt, don't do anything about it."